Toronto blast: The attack in Mississauga, Canada's sixth largest city, comes a month after a driver plowed his white Ryder rental van into a lunch-hour crowd in Toronto, killing 10 people and injuring 15. 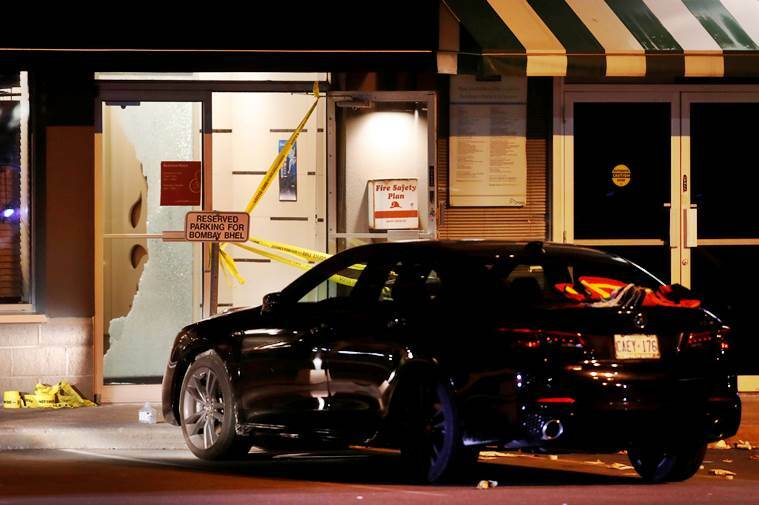 Toronto blast: An explosion at an Indian restaurant – Bombay Bhel – has left 15 injured. 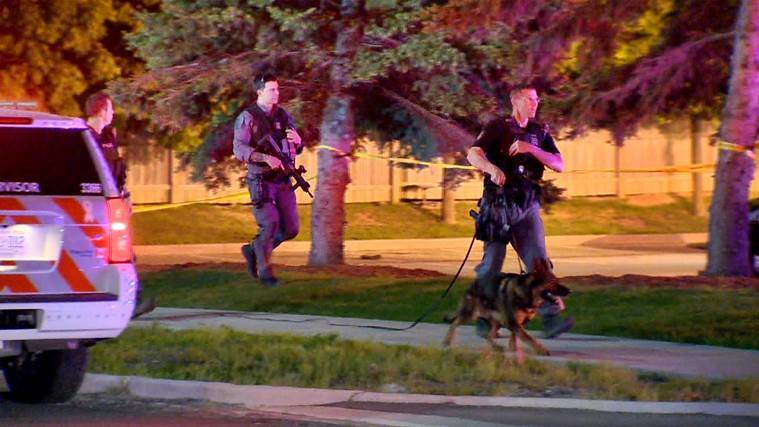 Toronto: Two unidentified men walked into a restaurant on Thursday in the Canadian city of Mississauga and set off a bomb, wounding more than a dozen people, and then fleeing, authorities said. 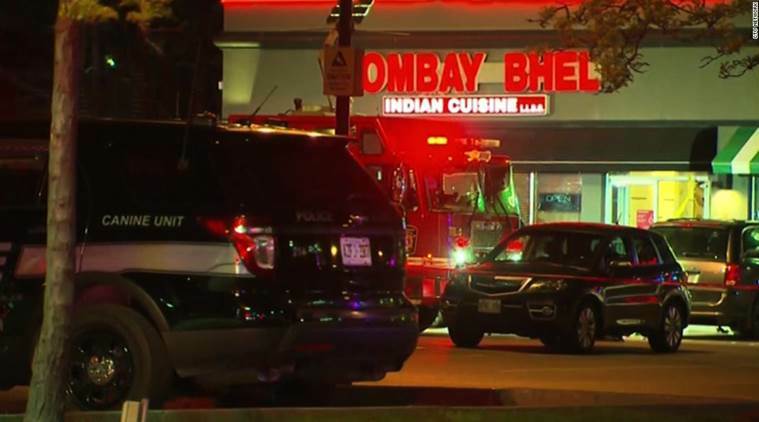 The blast went off in the Bombay Bhel restaurant at about 10:30 p.m. Fifteen people were taken to hospital, three of them with critical injuries, the Peel Regional Paramedic Service said in a Tweet. 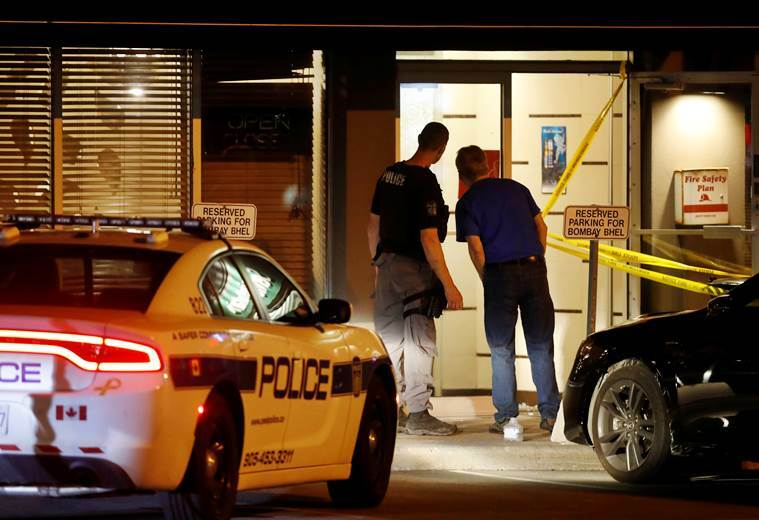 The two male suspects went into the restaurant and detonated their improvised explosive device, Peel Regional Police said in a Tweet. The men then fled. There was no immediate claim of responsibility. Police posted a photograph on Twitter showing two people with dark zip-up hoodies walking into an establishment with one of them appearing to be carrying an object. The attack in Mississauga, Canada’s sixth largest city, comes a month after a driver plowed his white Ryder rental van into a lunch-hour crowd in Toronto, killing 10 people and injuring 15. Mississauga is n Lake Ontario about 20 miles (32 km) west of Toronto. A police officer looks inside the Bombay Bhel restaurant, where two unidentified men set off a bomb. The glass of the restaurant was shattered with the force of the blast. Police investigate the scene of the blast with sniffer dogs to help ascertain the presence of more IED devices.